How would you like to bid farewell to the gas station and pocket a portion of the money you used to spend on filling up your tank? While it almost sounds too good to be true, electric vehicles (also known as electric cars or EVs) make it possible. The next time you’re in the market for a new car, consider the benefits of climbing into the driver’s seat of an EV. 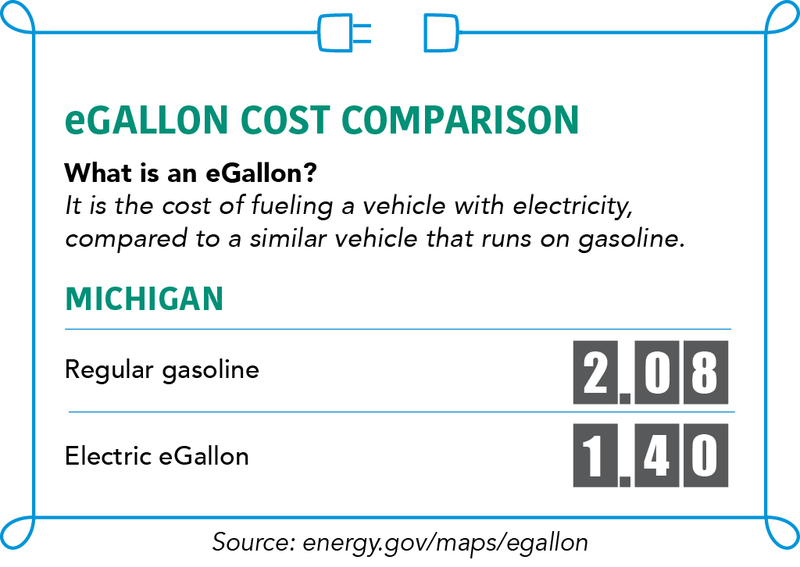 You may be surprised to learn that driving a 2019 EV in Michigan can be up to three times cheaper than driving a gas-powered vehicle. This savings is possible because EVs have much lower fuel costs than conventional gasoline vehicles. Considering the average U.S. household spends nearly one-fifth of its total family budget on transportation, savings at the fuel pump can quickly add up. In 2017, the U.S. Energy Information Administration estimated that the average American household spent nearly $2,000 a year on gasoline. Imagine having extra funds to afford that family vacation, complete a home remodeling project, or even just beef up your savings account? The simple step of not draining your bank account each week at the gas pump may help you fast track your financial goals. Gas-powered automobiles require replacing parts that go bad over time. Electric vehicles are different because they do not require as many components to operate. For instance, electric motors only have one moving part while engines in traditional automobiles contain dozens. A perk appreciated by EV drivers is that you can roll past 3,000 miles without having to think about getting an oil change. EVs don’t require oil changes—ever. They also don’t require cooling system flushes, transmission servicing and replacing the air filter, spark plugs, and drive belts. Regular service visits are typically limited to rotating the tires and checking brake pads and other components. Less maintenance equals more money in your bank account with less time spent at the service station or auto repair shop. EVs have come a long way (and can now, literally, go a long way!) since they were first introduced to the U.S. consumer market. For example, Chevrolet advertises its 2019 Chevy Bolt EV with a range of 238 miles. Yes, that’s right! The Chevrolet Bolt can now drive 238 miles before needing to be charged. With the Bolt’s MSRP starting at $36,620, electric vehicles are truly becoming the affordable transportation of the future. Most EVs can be charged by plugging into a standard 120 V outlet, but many owners opt to install a specialized 240 V charging system in their garage for a faster charge. With no tailpipe emissions, EVs produce zero pollution except for emissions created in producing the electricity used to charge them. With a renewable energy portfolio of nearly 20 percent, Michigan electric co-ops are the state’s renewable energy leaders. 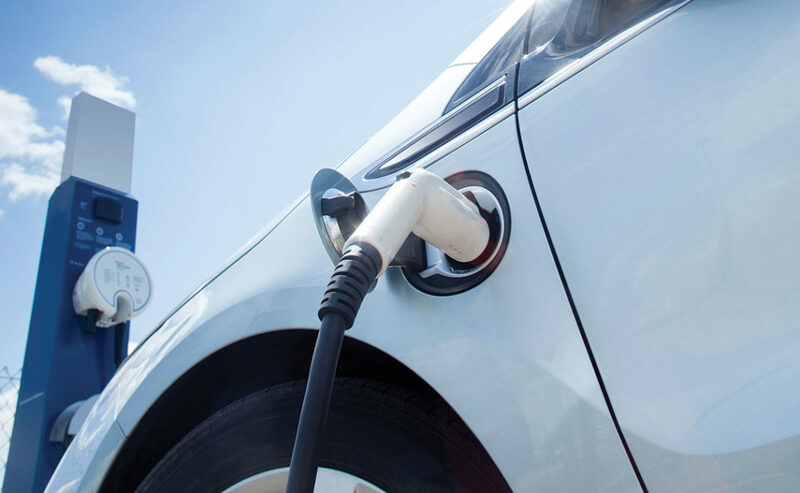 Switching to an EV and charging on co-op power lines is a way to reduce your carbon footprint significantly. While the operating costs of EVs are substantially lower, EVs can be more expensive to purchase than their conventional counterparts—although this up-front cost continues to decline as U.S. demand for electric vehicles rises. The good news is that the federal government offers limited tax credits up to $7,500 to EV buyers that can lower the up-front costs. Visit here to find specific tax credit amounts for individual vehicles. Is an EV right for you? Calculate the overall cost of EV ownership, customize it to your personal circumstances, and compare it to conventional vehicles. I’ve been considering an EV but I’ve not met anyone who has had to deal with the battery pack replacement. Do you know the longevity of a battery pack or the cost of replacement? Thank you. I have a model S Tesla with about 35k miles and it’s like new. There is a company in LA California called Tesloop that does limo service in LA and to Las Vegas. One of their Tesla cars has 400,000 miles on the original battery and is still going strong. The maximum range is about 32 miles less than new because they run it down low and recharge it fast, which is not the best way to make your battery last, and it has still held up. These modern lithium ion batteries will definitively last. I’m planning on using mine for 30 years.